When I get in “ministry mode,” I get really pumped. And before I know it, I’ve signed myself up to serve at every opportunity presented to me. You need five dozen cookies by this weekend? I can do that. You need someone to work with the kids? I can teach that class. 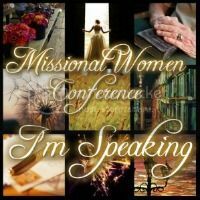 You need a special speaker? I’d love to. And I mean it every time, because I truly enjoy doing those things. No doubt about it, Christ has called us to humble service. In fact, before we were born, God appointed good works for each of us to walk in (Eph. 2:10). But here’s the myth of the ministry trap into which I often fall prey – I’m not called to serve everyone. In my moments of ministry zealousness, I fail to balance my responsibilities to my family and my church when I take up every good cause or respond to every need around me. And it’s my family that suffers when I fail to properly evaluate the ministries before me. 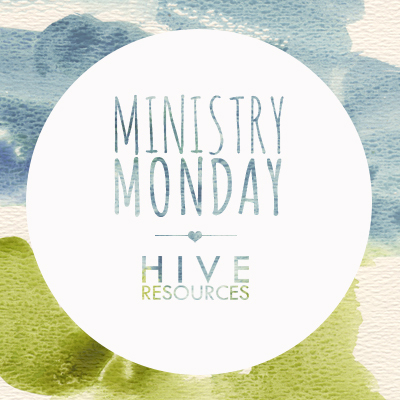 So, here’s a few lessons I’m learning for balancing family and ministry. I must evaluate my heart’s motivation for signing up to serve based on what God has already called me and equipped me to do. Right now, my foremost ministry is to my family. Any other ministries I step into should be an outflow of my family calling. This is where the tension between family and ministry can get sticky, because I often get the two ministry areas confused. Both are important. Both possess eternal value. Both bring glory to our King. Am I only signing up to serve because I want time away from my kids? Am I only signing up to serve because I want to make my family look good? 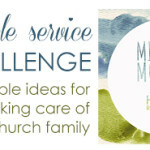 Am I only signing up to serve to make a point that my family is a service-oriented family? Am I only signing up to serve to make a point that no one is signing up? If the answer to any of those questions is ‘yes,’ then I know I’m dangerously close to losing the proper balance between my ministry at church and my ministry at home. If I struggle saying ‘no’ at church, I must force myself to discover the root of my discomfort. All too often, pride is at play. You too? Before you sign up to serve, check your heart. In most churches, children are relegated to the nursery. There are separate classes and buildings, even, for them. Service and worship can easily become segregated affairs. Not only does this ministry approach separate the members of a family from each other, but it also thwarts the spiritual development of a new generation of believers who don’t get to see their parents and older siblings engaging the lost and discipling other believers. One way to combat this unnecessary tension is to host more family-centered events in your home. Invite different age groups from church into your home. Many churches do this through fellowship groups or home Bible studies. These are wonderful and necessary events, but they often mean one individual is relegated to a separate room of the house to care for smaller children. 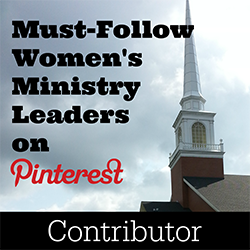 This is a valuable ministry unto itself, particularly for new or single moms. But truly family-centered events happen in life-on-life discipleship. I’m talking about basketball games, pizza parties, game nights, and life shared around the dinner table. The real work of the church takes place in the homes of its people as they open up their lives and connect with their neighbors and communities. Kids can’t participate in every single church event. 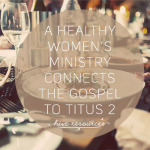 I truly appreciate ladies retreats, men-only service projects, and adult Bible studies. Age-graded classes, counseling ministries, and some special events are appropriate and necessary in the life of a church body, but they shouldn’t be the only pattern of discipleship. The degree to which we separate ourselves inside the church walls only lends itself to isolation in the greater community. We can’t leave our kids behind in ministry. Sometimes that means taking a break from a few ministry responsibilities in order to be present in our families. Sometimes that means taking our children along with us to visit new friends or to deliver a meal to a church member. 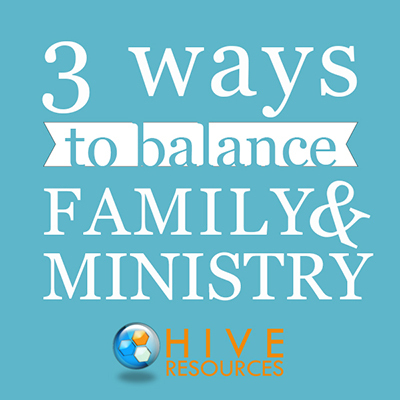 Striking a healthy balance in the family-ministry tension will look different in every home. Only you, as you seek the Lord’s guidance, can know what’s best for the bodies in your home. Only you know how God has equipped and called you to serve him. But, I promise you this. You will never regret spending more time with your family as you serve Him together. 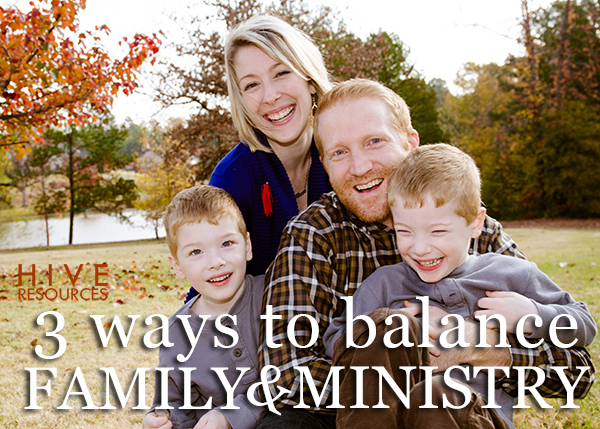 How do you balance family and ministry? 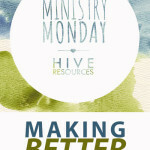 What ideas have worked for your family as you try to serve Him together? Share your ideas in the comments! It’s not to late to link-up with me! 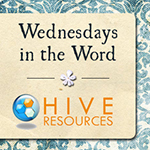 Check out my link-up Wednesdays in the Word and share how your post on how God is speaking to you through his Word. This is what we have been working to do. To get outside the four walls of the building and making an impact directly into our community through our homes and places we frequent everyday. Yes, Tori, it’s such an easy idea, but so hard to live out faithfully! Amen, hermana! I am struggling with this. My biggest struggle comes with how to have a multi-generational meaningful Bible study at home without relegating kids to the backroom for the majority of the time. Thanks for the encouragement! So helpful! I often get caught up in more than I can handle. The heart questions you listed are helpful and necessary to ask ourselves. Great post, Melissa! Great post Melissa! I remember struggeling with wanting to serve, when and how much when my children were young. God showed me that my first priority in ministry was with my children and family and that one day there will be time to do more. It also was an opportunity to involve our children as we invited others into our home and found areas we could serve together. I still made time to go to a ladies Bible study and a yearly retreat to have time with other women, to encourage each other and grow in my walk. I agree that the church can be one of the most segregated places for families and understand the difficulty of finding the balance. I have seen this solved in my son’s church. They have the family worship together from 4 years old and provides resources to help during the service and for the parents to reinforce at home. (Its called Equipegration-www.iamreddoor.org for info.